Joi Blume has been integral to the success of the property program team at Blue River Underwriters, having established a track record of double-digit year-over-year premium growth. She received the Gold Miners Growth Award in 2016 for increasing written premium in the specialty property programs book by 25%. She was also instrumental in helping Breckenridge Insurance Group win the award for Best Wholesale Specialized Practice in Commercial Property at the 2017 Insurance Business America Awards. In addition to her day-to-day responsibilities, Blume heads the diversity and inclusion committee for Breckenridge Insurance Group. She has facilitated a diversity panel discussion at an industry conference and recently helped launch the Atlanta chapter of the Association of Professional Insurance Women. Blume is also a regular volunteer for various causes, including the Atlanta area St. Jude’s Children’s Research Hospital’s annual fundraising gala and the Special Olympics. 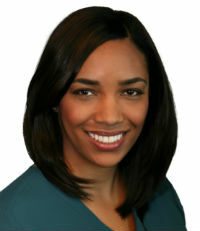 A member of the Alpha Kappa Alpha Sorority, Blume serves as mentor and role model for many other professionals.